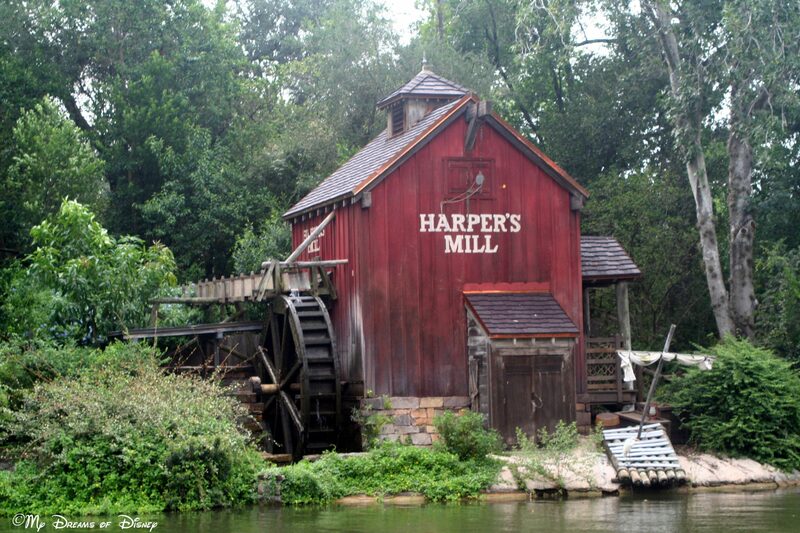 Tiggerific Tuesday Trivia - Tom Sawyer Island! Hello everyone, and welcome to this week’s edition of Tiggerific Tuesday Trivia! Along with Jodi from Magical Mouse Schoolhouse, Jenn from Disney Babies Blog, and Heidi from Heidi’s Head, I’m Mike here to bring you a little tidbit of Disney Trivia to brighten your day! Today’s trivia comes from the This Day in Disney History site. Did you know on this day in 1973, Tom Sawyer Island opened up at the Magic Kingdom? That makes today the 40th anniversary of the great outdoor playground for kids! A huge outdoor playground, Tom Sawyer Island (located in the middle of the Rivers of America) is inspired by the famous works of author Mark Twain. It features Injun Joe’s Cave, Magnetic Mystery Mine and old Fort Sam Clemens. The Tom Sawyer Rafts in Frontierland take guests to and from Tom Sawyer Island. The opening-day festivities include Tom Sawyer and Becky Thatcher portrayed by teenagers Steve Pierceall and Becky Bleigh. They were chosen during the annual Mark Twain observance in their hometown of Hannibal, Missouri (the boyhood home of Twain). Thank you for joining in today as we explore Disney Trivia! Please take a look at the rest of the entries below, and thanks for stopping by! 71 Days til Disneyland – Pirate’s Lair on Tom Sawyer Island! Always have to head over and explore the caves and our son loves to shoot the guns :). Thanks for sharing trivia today! It’s so neat that they chose two teenagers from Mark Twain’s hometown to portray Tom and Becky! Previous Post: 31 Days til Disneyland – Mandara Spa Mani-Pedi! Next Post: 30 Days til Disneyland – King Arthur Carrousel!